Alumni review, written by Millie Woodcock, BA (Hons) Animation, 2013. 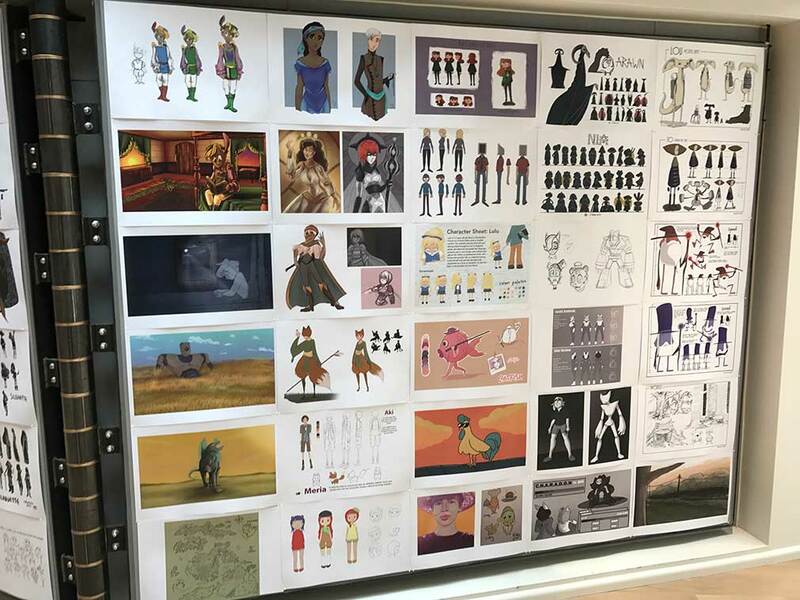 The first thing you notice walking into the BA (Hons) Animation Degree Show is the amazing amount of work all of the students have put into their films. There is so much to look at! "I would recommend getting down to the Degree show, no matter if you are in the industry or just a fan of animation. It’s fun, engaging and eye opening for anyone." There is so much variety in the work that is on show, CG, frame by frame, motion graphics and stop motion. Some films have even merged different animation techniques to create great hybrid animations. You really don’t know where to look first when you’re surrounded by so much animation! It’s great! Walking around the Animation show space you will encounter posters that the students have created to promote their films. These are works of art in themselves, great compositions, colours and very eye catching! Dotted around are the amazing puppets, which were used in the stop motion films. It’s great to look up close and see the detail and craft that has gone into each and every one of the characters, props and sets! 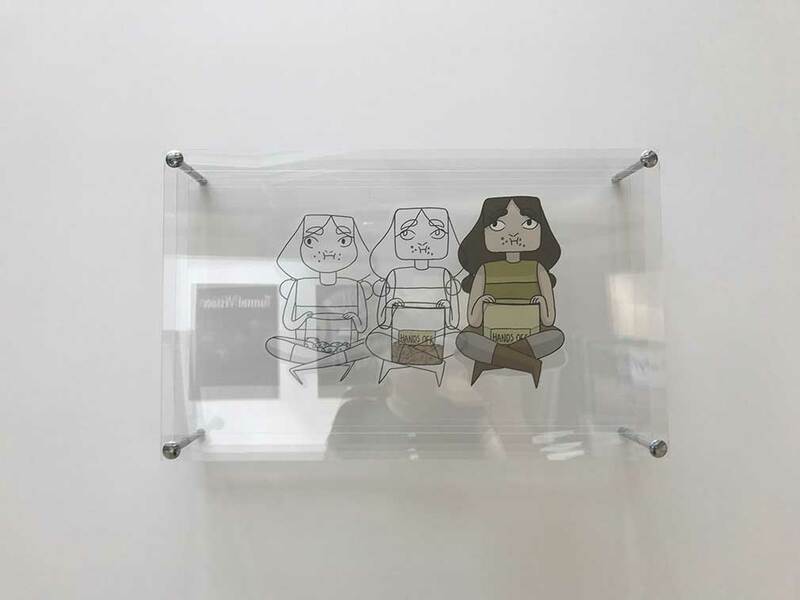 If you’ve been looking at the amazing diversity of work set across the whole degree show and your feet need some rest, you can take a seat in the screening area of the Animation Show and watch the student films. You won’t miss a thing either as they are set on a loop all day. When you’ve watched the films, you might want to take a wander of the sketchbook wall. Here you can have a glimpse into the animators’ minds and see the process they’ve gone through in order to get to their final film. This wall has some great content and, what I like to call, behind the key frame shots. There are character explorations, background designs, CG models, early sketches and storyboards. One piece shows the amount of drawings that goes into two seconds of frame by frame animation. On another wall there are these amazing multi-plane displays. I really loved these, they are a great way to show process of character design and varying technique in 2D, stop motion and CG. There is something that you really can’t miss as you walk into the Animation Show. 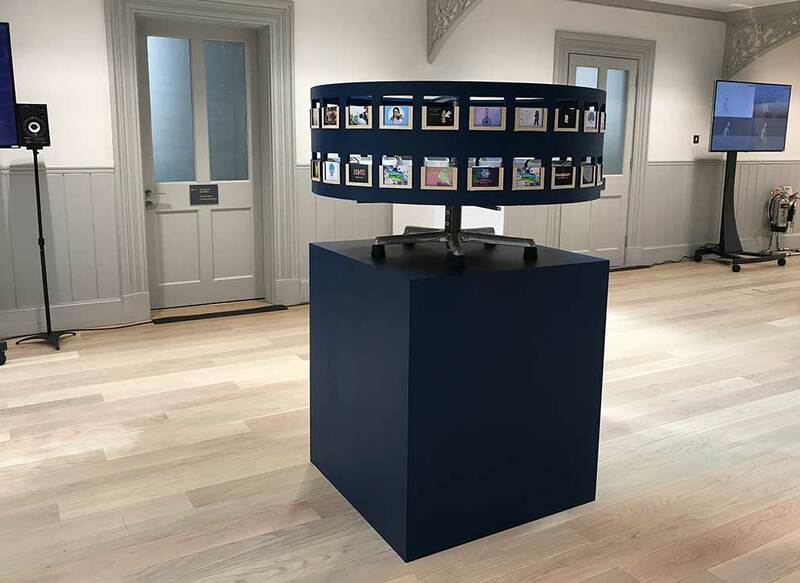 There is a HUGE zoetrope! This has been hand made to cleverly house all of the students’ own business cards. You can also learn more about the students individually at the computers. Each student has their own profile with a description about their process and what technique they work in. There are also links to their own websites and works if you would like to give their films a re-watch. I was very impressed with the animation work that the students have put out this year. The work is presented in such a way that you can learn so much about the process of each film. Every part of the animation process is so important and the degree show has made sure not to forget any of it. I would recommend getting down to the Degree show, no matter if you are in the industry or just a fan of animation. It’s fun, engaging and eye opening for anyone. You also have all of the other courses shows to check out too, you won’t be disappointed.